Over the last few years we completed over 35 renovations! From laundry rooms, to bathrooms, to the kitchen, we did a bit of everything, all across Metro Vancouver, and surrounding areas. Kitchen renovations are one of our favourite projects to tackle because of how much of an impact they can make on a home. Most realtors believe that kitchen renovations are the most likely to increase your home’s value. 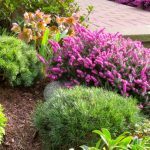 They also add a lot more than that – after all, you most likely use your kitchen every day, and it’s typically the focal point inside your home for cooking, dining, and entertaining. We often find that once a client renovates their kitchen, this starts a domino effect where they then get excited to renovate other rooms of their home, we’re all for that! 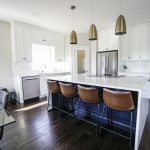 Below we have compiled some of our favorite kitchen renovations in Vancouver that we worked on over the past few years. For the Teegan family, it was clear their kitchen was in desperate need of a complete overhaul. The original kitchen had a distinct 70’s country aesthetic that we can safely say is never coming back into style. Dated aesthetics, combined with a cramped and closed off layout made for a space that no-one felt inspired to cook in. We were excited to take on this project and help create a new space that fit with the changing needs of their family. Check out the case study and see all the before and afters! For Coquitlam couple Jen and Steve Pulman, comfort, practicality, functional spaces and a place to put everything was a top priority, but their existing 90’s-built home was not cutting it. They chose to work with Canadian Renovations to renovate a large portion of their main and upper levels, including the dated kitchen and bathrooms, flooring, all paint and mouldings, and fireplaces. By working alongside them and understanding their needs we were able to bring their home into the design and living standards of today. Check out the whole project case study, including the before and afters! This was the first time in a while we have worked on a home from the 50’s, so when our clients hired Canadian Renovations to overhaul their tired kitchen space, and help update their exterior, we were excited to jump on board. In the kitchen, the clients wanted to create a space that was easy to clean and maintain, added more functional space and storage, and looked elegant and modern. The new crisp white cabinets and sleek counters work perfectly for them, and the layout helps keep things efficient in the kitchen when cooking and entertaining. Like many families in Vancouver these days, Lorraine and Colin Campbell decided to down-size their home and move into a house that could still meet their lifestyle needs for many years to come. But the 16 year old home needed some work! They required a kitchen, bathroom, and laundry renovation and Canadian Renovations accepted the challenge. This late 80’s townhouse in North Vancouver was in big need of a renovation. The owners hired us to revamp a number of areas including the kitchen, living rooms, foyer, powder room, and all bedrooms. They wanted to create a space they could be truly proud of, and they valued good quality materials and clean design. Ron & Dolly were tired of the dated feel of their space and wanted to gut their existing kitchen and start with a clean slate. This included removing the old drop ceiling, adding new lighting, choosing a sleek new cabinetry style, and creating more opportunity for natural light throughout. Feeling comfortable while the process took place was critical to them, so we ensured that their daily life would never be disturbed by the renovation. Throughout the project they felt at ease, comfortable, and confident. Teachers, Bruce & Linda had always dreamt of transforming their dark and confined kitchen into a dream space where they could enjoy time with family, friends and their three dogs. 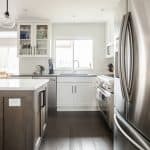 They loved their home in North Delta, however given the house was constructed in the early 80’s meant that there were both aesthetic and functional limitations to the kitchen. Having a disappointing experience in the past with another renovator, they wanted to ensure their choice this time around was the right one. 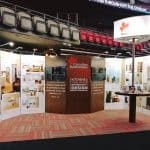 Once they chose to work with Canadian Renovations for their project they were amazed with how enjoyable the process was.